Did you hear the big news? Weekend Update is no more. 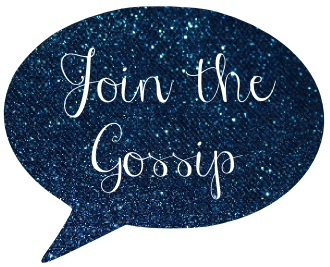 But don't fret because in it's place I have a brand new linkup called Monday Morning Gossip! Weekend Update was my baby and I adored it but I am really excited for this new adventure. I met so many wonderful bloggers through it and look forward to continuing those and building new relationships as well! 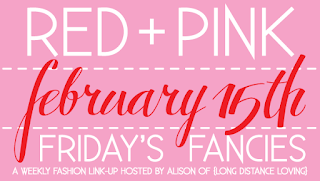 I take the time to visit every linkup post, so don't forget to say hi if you're participating! Here's how Monday Morning Gossip will work: blog about your weekend, what your excited about, or any other gossip that's going on. Be sure to grab the button above to add to your post. The bloghop will be live every Monday morning at midnight PST. A HUGE shoutout to Melissa of Not So Ordinary Designs for creating my pretty button. I'm obsessed! Can't wait for your gossip on Monday! Speaking of linkups, I've been participating in Friday's Fancies hosted by Long Distance Loving for over a year. I highly recommend you check it out if you're not linking up. So much fun! This week's fashion prompt? Red + pink. Here's my look. Totally something I'd wear. I'm kind of new around Join The Gossip but I'm really excited for your new link-up. I like the way you've broadened the topic from just weekend to whatever you'd like to share on Monday morning. I love your outfit pick. The heart earrings are darling. I love the idea - and the name - of Monday Morning Gossip! A virtual catch-up and gossip call is the perfect way to start off the week! I love lace so I am loving the top! Those earrings are my favorite! Loving that lace top girl! It's so pretty! Congrats on the new link up! I love the new button and the new link-up! I'll definitely be joining soon :) Have a great weekend Leeann! Sweet new button! See you Monday morning! I'm digging red and pink together recently. oh gosh, that outfit is amazing! so cute. LOve your valentine's outfit. Gorgeous. Love those heart shaped earrings. Would love it if you would like my blog Vodka INfused Lemonade on facebook. You know that I gave up shopping for Lent and you just HAD to tempt me with that lace top! Pink and Lace, shoot me now!! LOVE LOVE LOVE IT!! Fab outfit!! i'm so excited about your new linkup on mondays. :) good thing! and oh my i love the pink/red combo you put together. obsessed. i especially like the red blazer with that top. WOW. I just love your FF's outfit!! The pink lace is gorgeous! THAT TOP. So obsessed. Give me anything with lace in that shade. 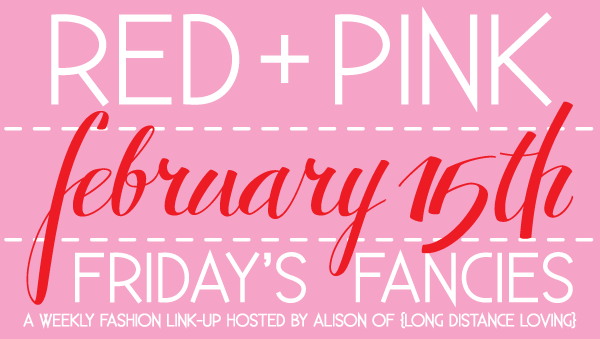 And yay for a new linkup!! As usual, I love the outfit! I LOVE that pink lace top -- too cute for words! I LOVE red and pink together but am so afraid to wear it. I really love that lace top! The little heart earrings are so cute too. And the clutch! I'm excited about your linkup!